Jerusalem has been at the very center of religious, historical and geopolitical tensions for a long time. With the recent move of the US embassy from Tel Aviv to Jerusalem, it seems that fuel has once again been added to the fire already consuming the Palestinians with humiliation, or so would the media like us to believe. Some countries have welcomed the US embassy move and some have even announced their subsequent moves in the next few weeks. Honduras, Paraguay, Guatemala, the Czech Republic and Romania have all announced their plans to move forward with a relocation. While much of the world sees this as a defiant move, Israel welcomes the decisions of the few international friends she has. There will be more. The move of the US embassy, had it been in any other country on the planet would have garnered no interest from anybody. Generally speaking, people don't care where an embassy is located and they agree that it should be in the capital of each respective country. When the capital is Jerusalem, and its legitimacy is questioned, a move becomes a thorn in the flesh of political correctness. The locating or relocating of an embassy really shouldn't be newsworthy, but it seems that lately, anytime Israel or Jerusalem is mentioned, the world gets on edge. If nothing else, moving the US embassy from Tel Aviv to Jerusalem shows that this current administration supports Israel AND recognizes Jerusalem as its capital, something that previous US administrations had alluded to at best. 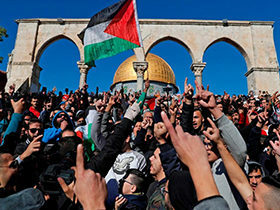 The United Nations General Assembly voted 128-9 (35 abstentions) in favor of condemning the upcoming move, even though US ambassador to the UN, Nikki Hailey vowed that the United States would remember those who voted against the move. This was done in the form of an attempt at rendering the "Trump decision" null and void. The 9 countries that voted against it were: Guatemala, Honduras, Israel, Marshall Islands, Micronesia, Nauru, Palau, Togo and the US. Then came the move to Jerusalem. President Trump chose the symbolic date of May 14, 2018, since Israel was declared a modern nation on May 14, 1948. 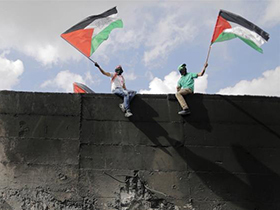 Palestinian Authority and its close supporters declared that the move was counterproductive to any peace efforts. Simultaneously, Hamas tried to breach the Gaza/Israel border. These people flew kites with explosives over the border and sent terrorists mixed with civilians to cross to Israel. As it turned out, over 75% of the people killed at the border were terrorists. The days leading to the move to Jerusalem were supposed to be the "Palestinian March of Return" coinciding with the date of May 14th, considered by Palestinians as the Nakba or "catastrophe." The results of the border breach attempt were far from what Hamas expected. There seems to be a "Palestinian narrative fatigue" going around, but don't worry, the contempt for Israel will return before we know it. How is THIS helping with the peace effort? As always, the media was extremely helpful in painting a picture promoting and vindicating a false narrative. The National Catholic Reporter boldly wrote that "Emboldened by embassy move, Israel unleashes on Palestinians." making Israel sound like a murderous state killing harmless peaceful protesters. CNN reported, "The US opens new embassy in Jerusalem as dozens are killed in Gaza." The article goes on to demonize Israel AND doesn't show one picture of Palestinian terrorism. It only shows people looking desperate and trying to defend themselves, which is a far cry from reality. A few websites have the integrity to properly report the facts. One such outfit is honestreporting.com and they produced several short videos clearly exposing the lies of Hamas, and the denial of the media. The 128 countries that drafted a resolution to render the decision to move the embassy "null and void," are enemies of Israel and are not looking for peace in the Middle East. They have become co-conspirators of Hamas. While the resolution from the UN does not carry very much weight on the international scene an will likely not lead to a reversal of the embassy move, it is a symptom of something much deeper; it shows the world's opinion on Israel. Over 75% of the countries of the world are ready to render the move null and void. They have spoken loud and clear, and the 35 that abstained, have spoken by their silence. There is an interesting prophecy in the Jewish Scriptures found in the prophet Zechariah 12:1-9. In it, we are told that at some point in future history, the whole world will turn against Israel. “Behold, I am going to make Jerusalem a cup that causes reeling to all the peoples around; and when the siege is against Jerusalem, it will also be against Judah….“It will come about in that day that I will make Jerusalem a heavy stone for all the peoples; all who lift it will be severely injured. And all the nations of the earth will be gathered against it. Bible students know that to be true. The day is coming when the whole world will turn against Jerusalem. 128 countries out of 193 is definitely a move in that direction. Somehow, even America will turn against Israel. We understand that even if a country corporately declares its hatred of Israel and the Jewish people, people of good faith do not have to follow suit. During the 30s and 40s, there were people who helped, protected and hid many Jews such as my mother. They were not Jewish, they risked their own lives and took no money to do so. Today, they are known as "Yad Vashem Righteous Gentiles" or "Gentiles Among the Nations." All seems to indicate that the world is in need of a second generation of "Righteous Gentiles," and they exist, I have met some of them. We are indeed a lot closer to a fulfillment of Zechariah 12, but we must be humbly reminded of the end of that story in verse 9 “And in that day I will set about to destroy all the nations that come against Jerusalem."